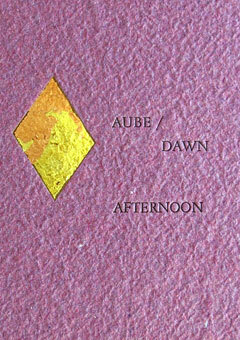 Aube/Dawn Afternoon is a letterpress booklet with fold-out photogravure. The text includes the poem “Aube” by Rimbaud with a translation by Winston Dutton. The second poem “Afternoon” is a poetic response across time by Jaime Robles. 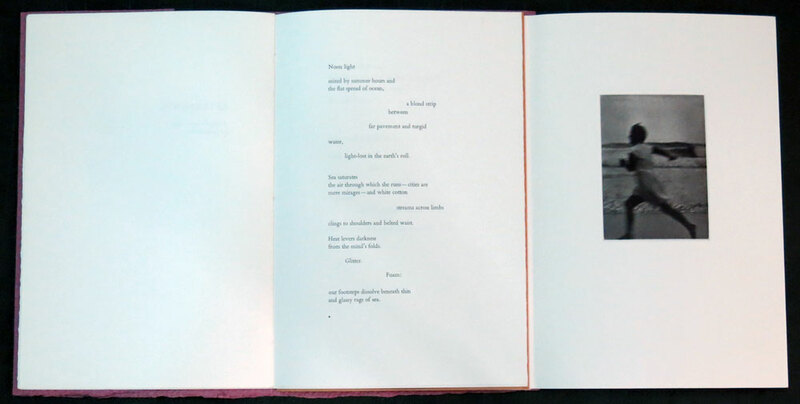 The photogravure plate was prepared by Ken Farley and printed by Jaime Robles and Doris Simmelink in 1988. 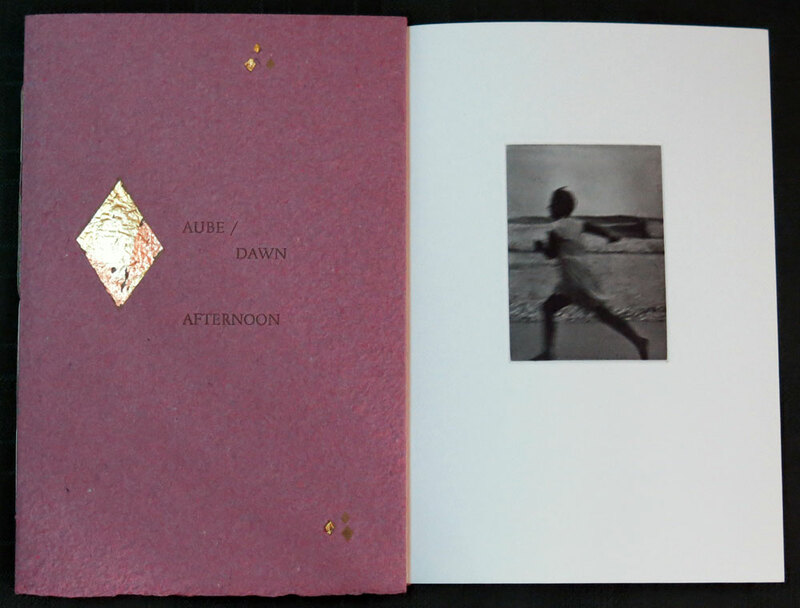 “Afternoon” and the cover were printed at Hillside Press with Eric Holub in 2017. Edition of 20.